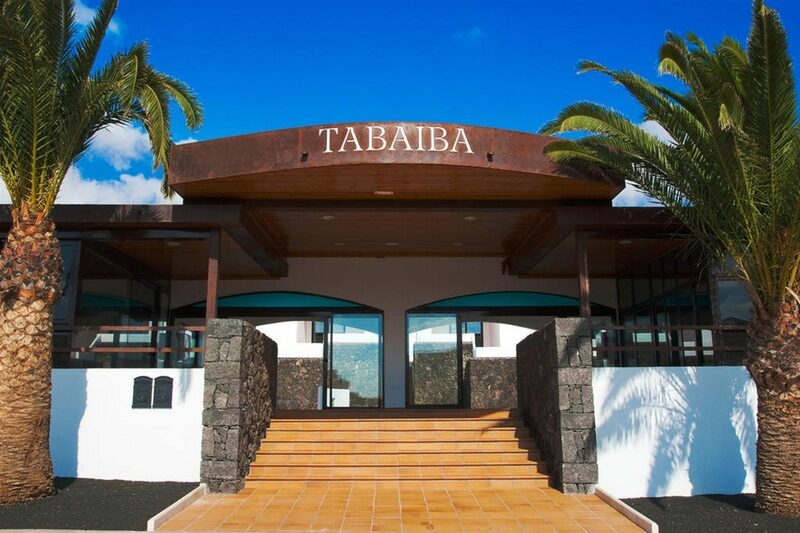 Aparthotel Isla Paraiso sits proudly on a hillside overlooking Arenal d'en Castell beach. 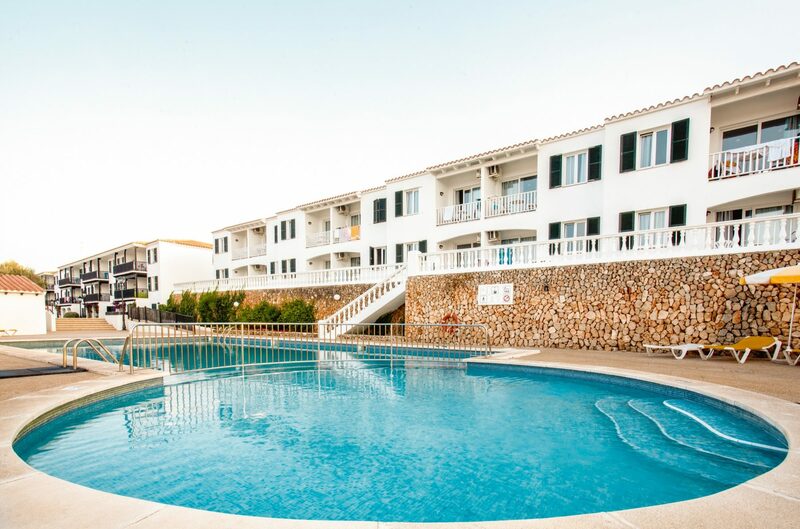 This great-value aparthotel comes with everything you need for a fun family-friendly holiday in Menorca. The pool area is the star of the show during the daytime. Work on your tan on the sun terrace before taking a dip in the water to cool down. Discover endless fun for younger guests in the mini club and playground. Keeping in touch with home is easy; there's Wi-Fi and Internet access on-site. 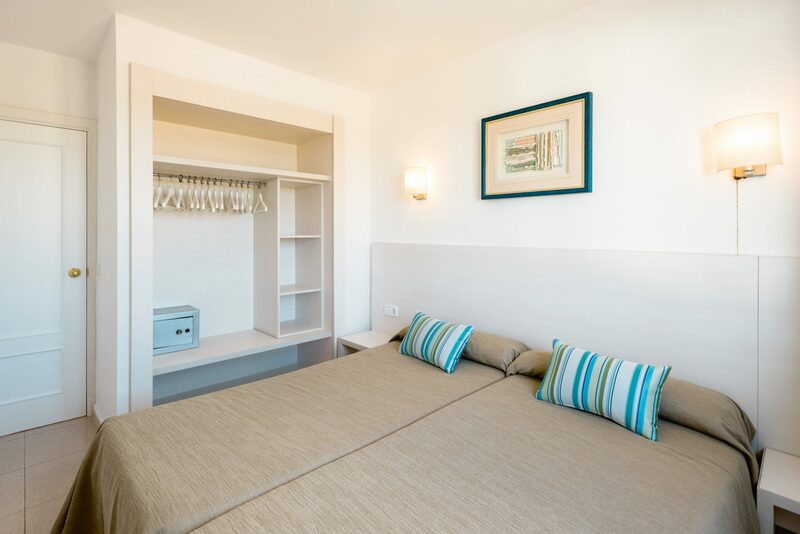 The guest apartments are kitted out with all the modern facilities you need. Rustle up a snack whenever you get peckish in the open kitchen and keep your drinks cool in the fridge. 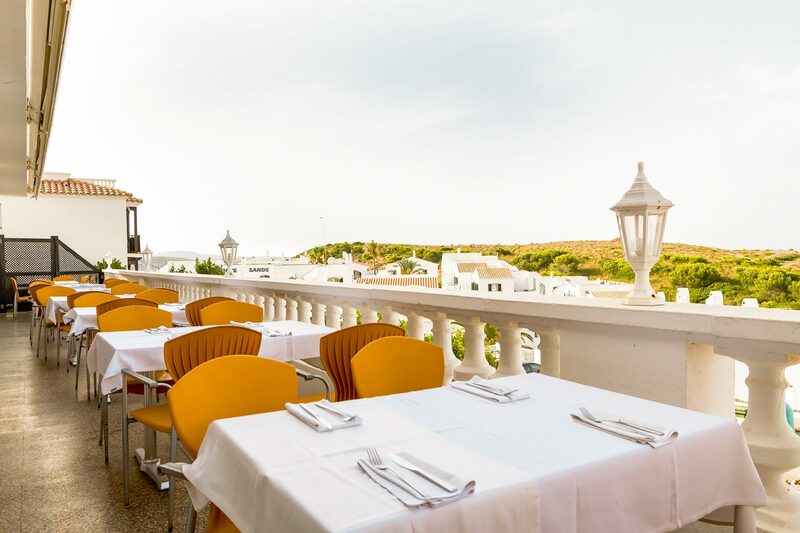 Sit and watch the world go by from the comfort of your private balcony or terrace. If cooking isn't in your holiday plans, the restaurant serves buffet-style fare or you can tuck into light bites in the snack bar. The on-site supermarket is fully-stocked with all your daily needs too. Bring your day to a close in style with a cocktail in the bar and a varied line-up of entertainment. 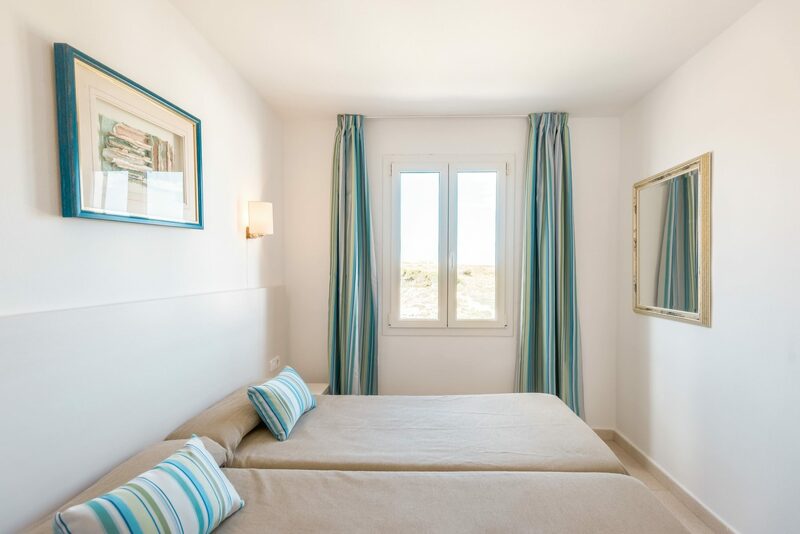 Discover why Aparthotel Isla Paraiso is a popular place to stay for Menorca holidays. 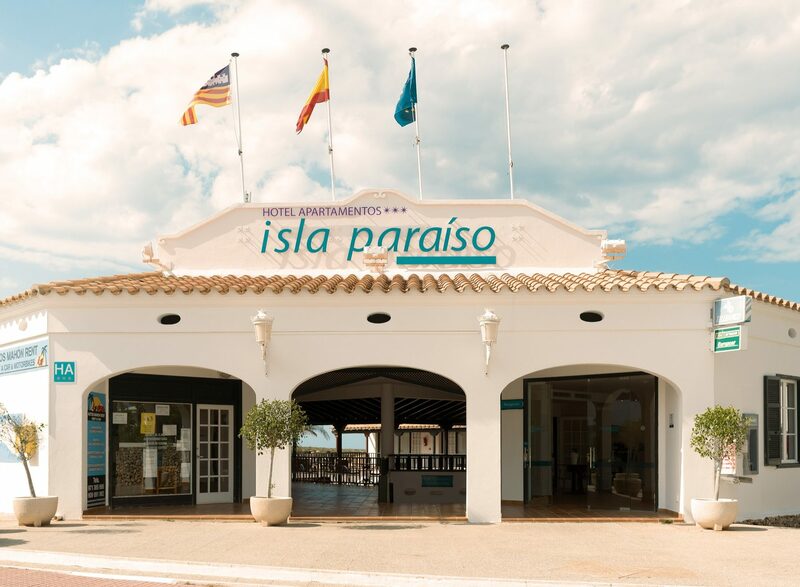 Aparthotel Isla Paraiso offers plentiful facilities, including: outdoor swimming pool with children's section, sun terraces with sun loungers and parasols, restaurant, snack bar, lounge bar, gardens, mini club, playground, Wi-Fi and Internet access, supermarket, arcade, bike, car and motorbike hire. The aparthotel has a total of 114 guest apartments, comprising nine one bedroom apartments and 105 two bedroom apartments. 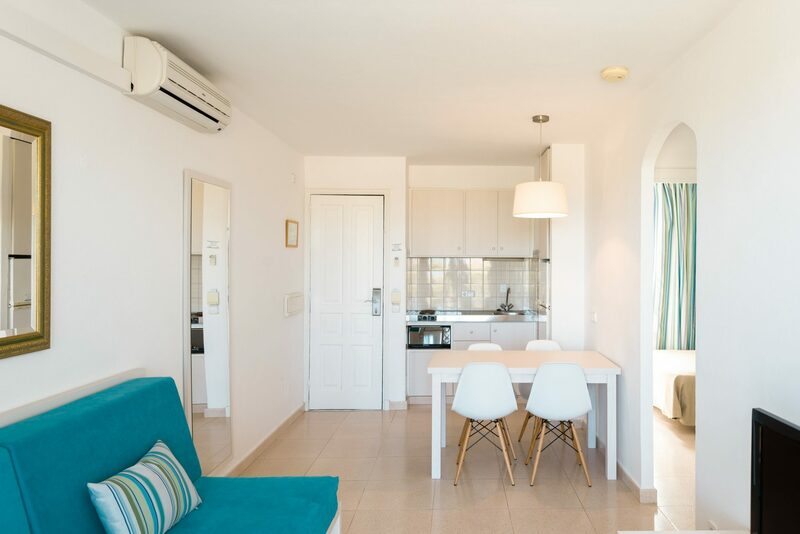 The one bedroom apartments feature a bathroom with shower and hairdryer, direct dial telephone, satellite TV, Wi-Fi access, air-conditioning/heating, safe for rent, lounge area, and balcony or terrace. The open kitchen comes with a fridge, coffee/tea maker, and oven. Local and international dishes are served buffet-style in the main restaurant and light bites are available at the snack bar at lunchtime. The lounge bar is open for a wide choice of hot and cold drinks. The evening entertainment includes live music and family-friendly shows.